Mrs. P's worktable. Chapter 11. 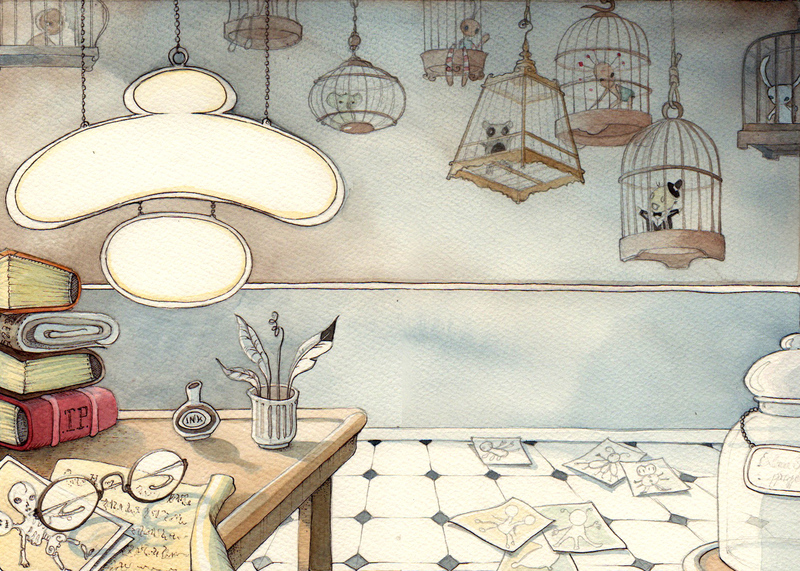 Double page spread from Lint Boy, Graphic Novel, by Aileen Leijten.